Articles about Gentrification, ordered by date. 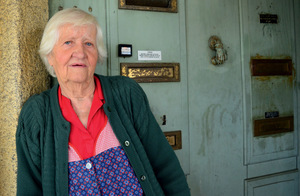 Marta Vidal talks to Maria Augusta, 85, who lives in fear of eviction since her building was sold to a company planning to invest in short-term rentals. Peter Yeung reports on the politics of street food in Bangkok - an informal industry currently under threat from the forces of gentrification.